The 2015 Rob Guest Endowment Grand Final Concert will be held on Monday 9 November at the Sydney Lyric Theatre. Hosted by Lucy Durack and David Campbell, guest artists performing at the concert will include musical theatre performers Rob Mills and Jemma Rix, Dirty Dancing star Mark Vincent, 2014 Rob Guest Endowment winner Joshua Robson, and cast members from Matilda and Cats. It will be a night of exhilarating Musical Entertainment as the six Rob Guest Endowment Award finalists will showcase their talent in the hope of taking home the highly coveted Award of $20,000 and a headshot package provided by Blueprint Studios. The six finalists for the 2015 Rob Guest Endowment are Blake Appelqvist (West Side Story, new VCA Graduate), Daniel Assetta (Cats, Wicked), Hilary Cole (Carrie, Dogfight), Georgina Hopson (Into The Woods, The Pirates of Penzance), Rob McDougall (Les Miserables, Phantom of the Opera) and Ashleigh Rubenach (Anything Goes, The Sound of Music). The competition will be judged by three of Australian musical theatre’s finest creatives, Kelly Abbey, Peter Casey and Gale Edwards. This year also sees the return of Melbourne’s East End Theatre District Artist Development Award, a $5,000 prize, and the Playbill Future Prospect Award, a cash prize of $1,500. The four remaining finalists will each take home $1,500. The Rob Guest Endowment Technical Award in Honour of Sue Nattrass and The Rob Guest Endowment Musician Award will also be presented at the Gala Concert. Each of these awards, fully funded by the Capitol Theatre and Sydney Lyric, include a $10,000 cash prize intended to help the recipients become leaders in their field. Now in its 7th year, the Rob Guest Endowment Award is presented annually to an exceptional, emerging musical theatre performer selected by a panel of industry experts. It seeks out Australia’s brightest and most talented young rising stars by putting them through a gruelling audition process leading up to the Grand Final Concert. 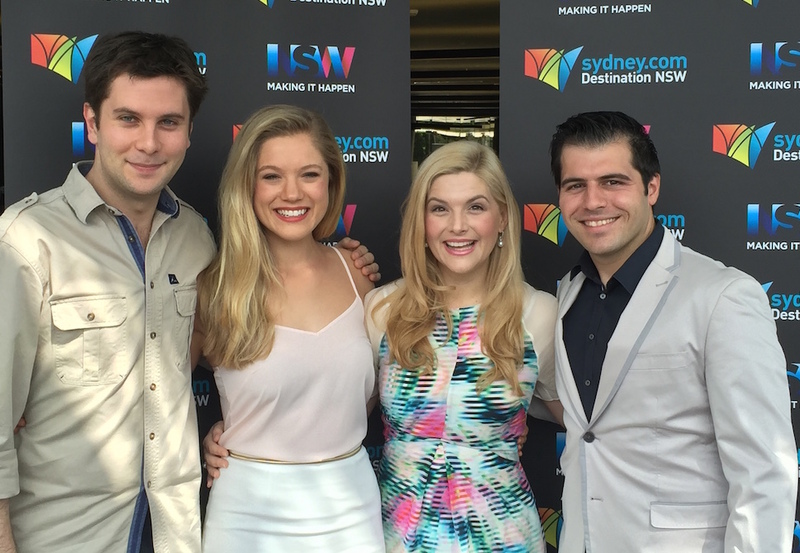 Past winners and finalists are performing in lead roles in musical theatre around Australia, including Kirby Burgess (Dirty Dancing), Andrew Cook (Matilda), Samantha Leigh Dodemaide (Anything Goes), Euan Doidge (Les Miserables), Joshua Robson (Les Miserables) and Gretel Scarlett (Singin’ in the Rain).